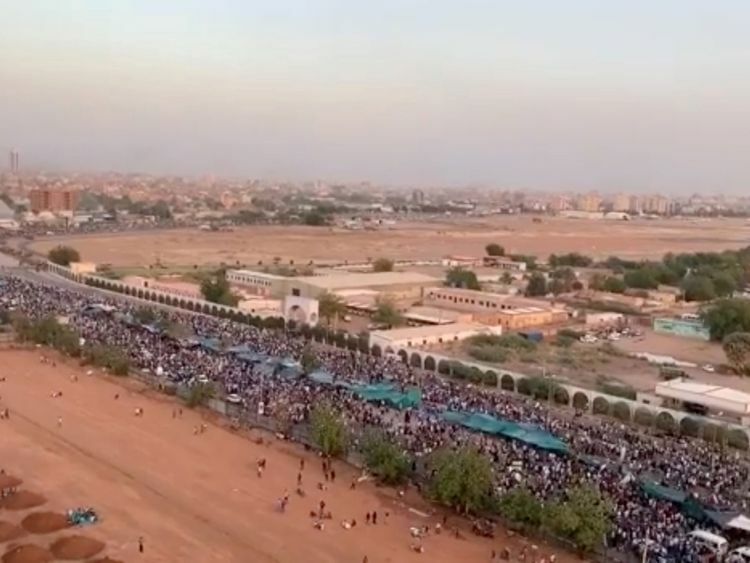 Khartoum - Thousands of defiant Sudanese protesters remained camped outside army headquarters for a fourth day Tuesday, buoyed by the abandonment of a pre-dawn attempt to disperse them after soldiers intervened, witnesses said. 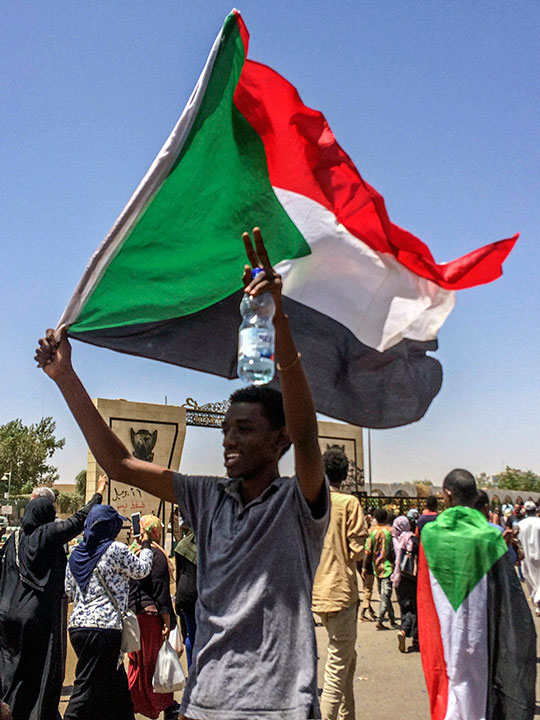 Chanting "freedom, freedom," crowds of men and women, who had spent the night camped outside sprawling the Khartoum complex that also houses the president's residence, urged top brass to back them in ending Omar Al Bashir's three decades of rule. Activists behind anti-government demonstrations in Sudan say security forces have killed at least seven people, including a military officer, in another attempt to break up a sit-in outside the military headquarters in the capital. Early on Tuesday, members of the National Intelligence and Security Service and riot police fired tear gas at the protesters in an abortive bid to disperse the sit-in, protest movement organisers said. A second witness too said soldiers had intervened against the security force agents. An AFP correspondent, some five kilometres away from the headquarters, heard shooting for about four minutes. Demonstrators have called on the army to protect them from the deadly crackdown, after days of camping outside its headquarters, which also houses Bashir's residence and the defence ministry. Defence Minister General Awad Ibnouf vowed that the army would prevent any slide into chaos. "Sudan's armed forces understand the reasons for the demonstrations and is not against the demands and aspirations of the citizens, but it will not allow the country to fall into chaos," Ibnouf said on Monday, according to the official SUNA news agency. The rally outside the army headquarters has been the largest since protests began on December 19 in the central town of Atbara, quickly spreading to the capital and nationwide.